I’m still ‘Elfing’ around even though the ears are not so much pronounce on this image. The idea of this was to get a rather Royal autumn/winter look since in various places in the world its now getting towards that time. Everyone get your umbrella’s up in England here comes all the rain! Late into the evening and we have a post! I know it’s been a while but you know me by now. I don’t post all that often only when I feel like it. That hasn’t been until lately. 2 months! If you think I should do more regularly just shout at me and nudge me a lot and I will start pumping out more stuff for men. This one I was getting in touch with my fantasy side and in stories I’m fond of elves. Elegant, strong and wise! However, they can be arrogant and rather ignorant of other species, they consider them to be lesser than themselves. A little while back I was intrigued by the Sci-fi genre. I think it was partly to do with my love gadgets, playing Deus Ex: Human Revolution as well as my love for Star Wars. To immerse myself into the environment I traveled over to Insilico. If you’ve never been I would recommend taking a look. 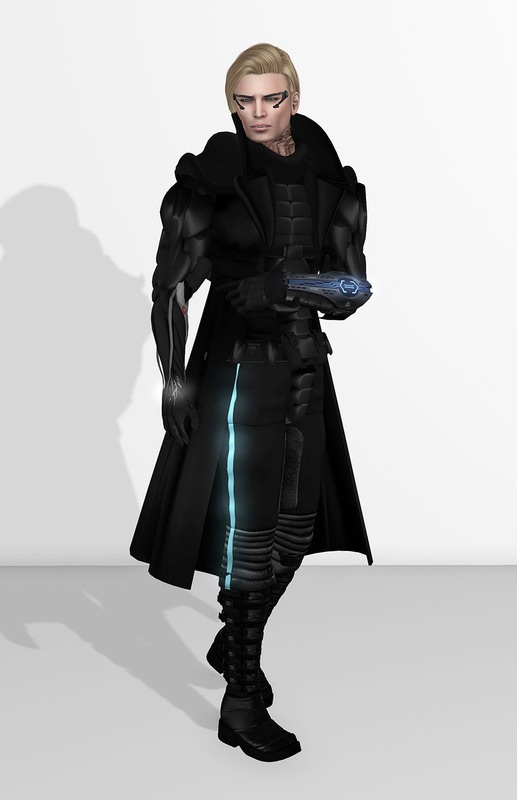 Insilico has been around for a long time and is an amazing build of a futuristic sim. There are others of course but I’ll leave that for you to explore. The outfit is composed of quite a number of components. 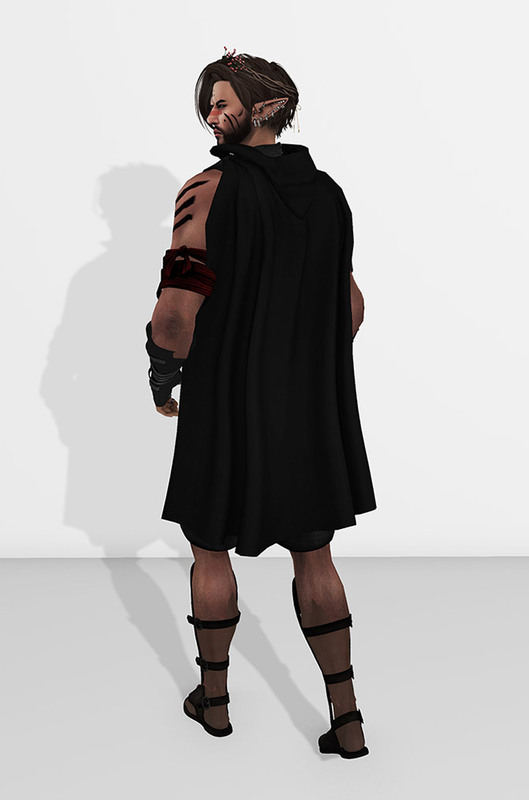 The base outfit I used to build on was the Krova Knight outfit from Krova. Having a base outfit is one of the things I do as my method of building one. It gives you a good foundation to work upon and experiment with by mixing and matching different things with it. 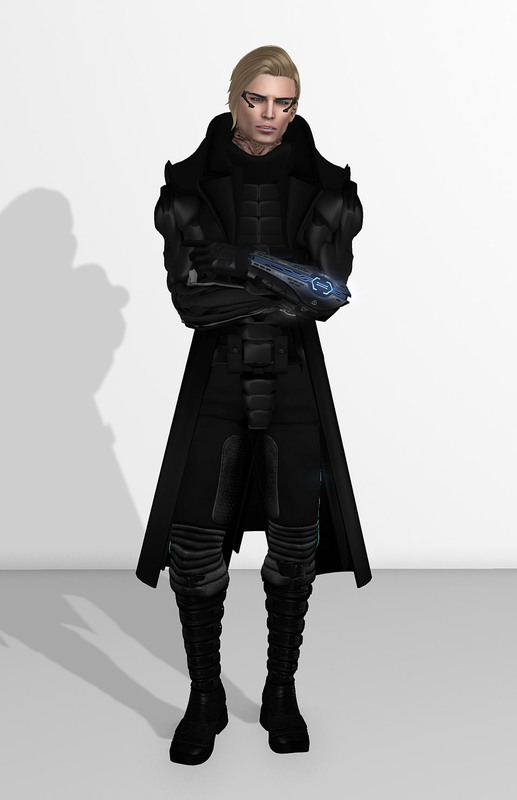 NOTE: Because of the limitations of SL I only used an alpha that hid my hands and my forearms. I wore gloves to get the left hand back, the prosthetic arm for the right. 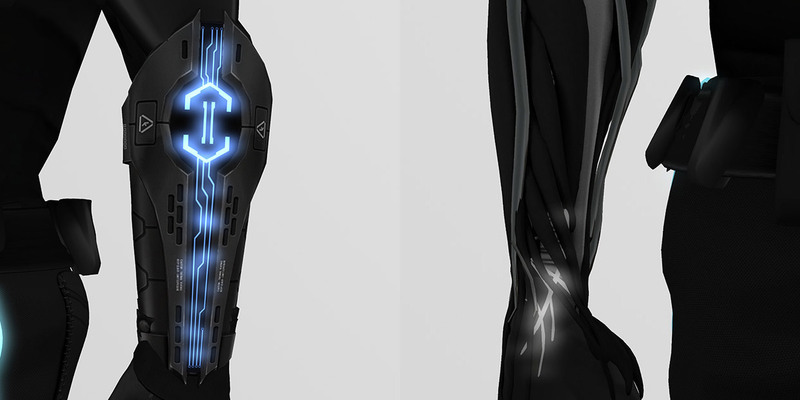 The bracer on the left also fills in for the missing forearm. I’ve listed the alpha I use. Drinking coffee, lazy Sundays, it’s especially good after you had such a good night out the night before with friends. To sign off this week I was approached by Equinox to feature one of their new outfits on my blog. Which is a first for me and was nice to know that people do look on here. I know there’s not many men’s blogs out there and that’s why I am here myself. 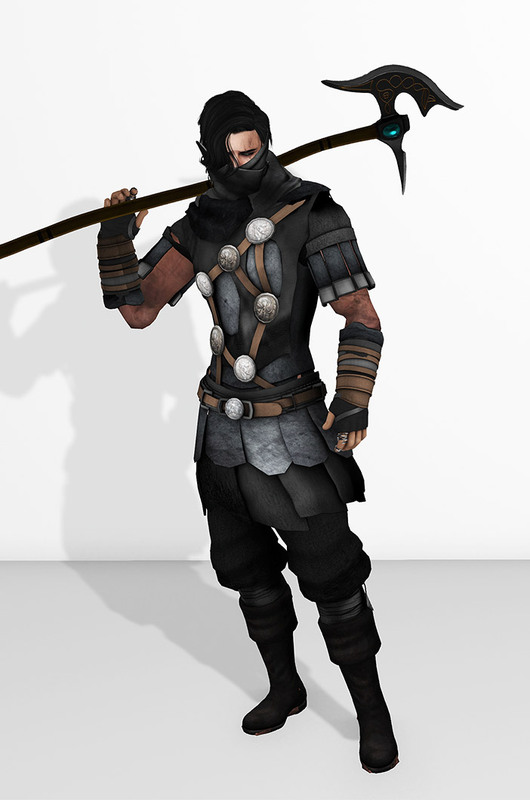 Here you have the Moros Tunic, it also comes in red.The only quiff I had and that’s purely from my own design eye, is that the belts and metal circular pieces seemed a little random to me. But this is where ‘art’ might of just took its place to make a mark on the outfit itself. however like the overall ‘functional’ design of it as there aren’t many mesh tunics out there and I bet this will certainly become a standard choice among most! Time to get the show on the road again. I’ve made a fair few outfits in the time I’ve not been posting on this blog. Here’s one I put together for a smart-casual look. Nothing too fancy and certainly nothing from any of the events that you’ll find hard to come by if you do not already own them! Just nice and simple with my favourite pair of pants. 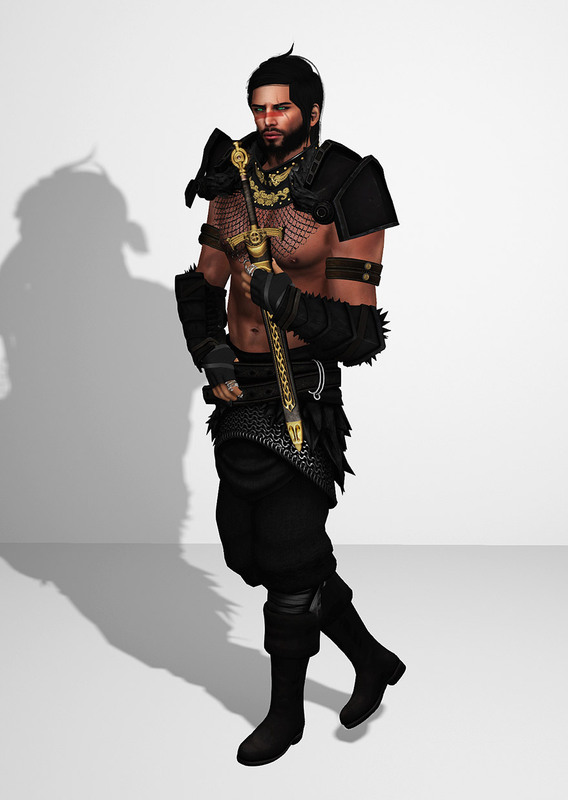 Here I put an outfit together after acquiring only 2 items from the fantasy collective. I hate the fact there are so few things for men sometimes, so I find ways to incorporate what are intended for women to making them work for men. 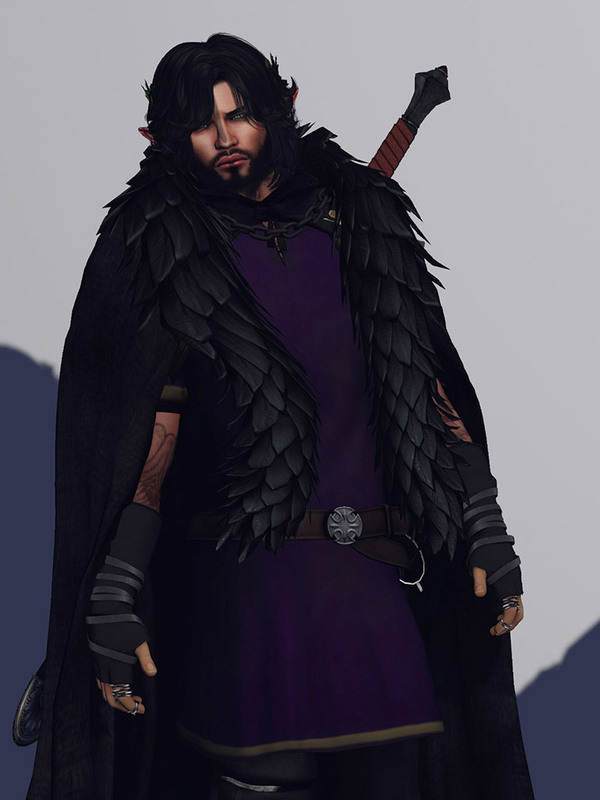 For example the Forge Chainmail Collar as you see in this photo. If you ever get chilly however you could always throw on the fur coat as shown below. It’s been a long time since I last posted. I am certainly not the avid blogger like others I know of. I generally don’t feel like pumping out a post a day or every two days. That’s not to say I do not like it I tend to just go off how I feel. Which then probably means some of you feel like doing it a lot more than I do! (Laugh). So I got exited about blogging this one because I went to the creator of the Kimono (listed below). 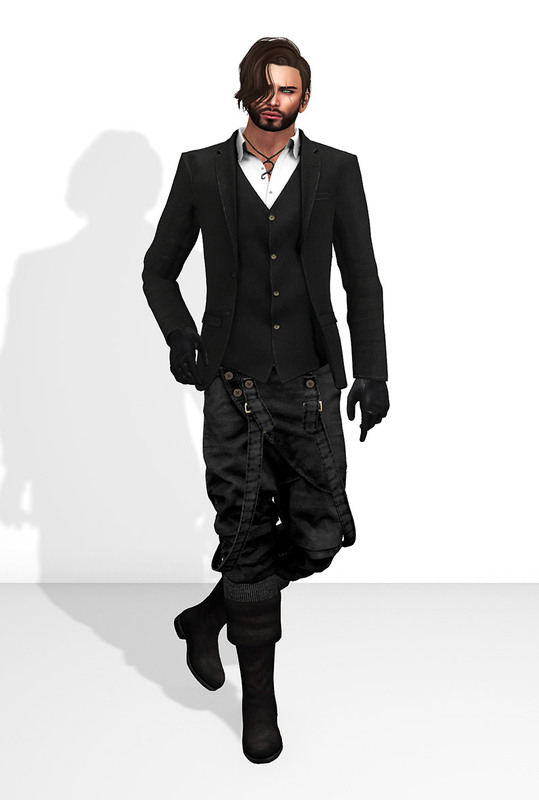 I had a black plain version made to fit the style of outfit I have made above. I admit I got a little inspired to add a little bit of “eastern” touch to my outfit from the movie 47 Ronin. Anyway, I hope you like it. While I am working on my ideas, I thought I would throw in an outfit that I have had for quite some time. With those favourite boots and pants that we all wear. I give you Rogue. NOTE. On the kilt I edited and took off the prims on the sides of the kilt. Keep the leather strips on. It’s 10:45 at night here in the UK, I’m slurping my tea; and I was spending some time with a friend in the world of Second Life. It just made me think how we as people inspire each other. I got so excited about my ideas and thoughts that I couldn’t resist to post a teaser. Good things are coming. Not just the latest releases, newly put together outfits or accessories but also wonderful imagery. I want to enhance your characters that you play. It is the surroundings and the way you dress that give you avatar it’s character. Whether your looking to voice out what person you are inside through your avatar (as many of us do) or you are being someone you want to be. I hope you will find something within this blog as it progressively builds over time. Special thanks to Sadia Terror (Shadowed Ninetails) for creating the pose specifically for this photo. Hello everyone, I was at the Fantasy Gacha the other day and I just happened to stumble across a rare shield! the “Richard Shield” and this inspired me to create an outfit to go with it. It’s very medieval fantasy, very rich with the golds and the bold reds. I hope you like it as much as I do.